Come see us for all your fireside needs! We sell and install wood, pellet, and gas stoves, and fireplace accessories. Or - create the ultimate outdoor space with custom kitchens, grills, and chimneys! With traditional and contemporary styles in gas, electric, or wood burning options, you'll find a fireplace or stove to match any specifications. We willingly share our knowledge before you buy, install your fireplace on schedule, and stand behind our products after the sale. 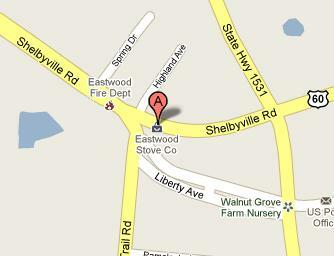 Contact us at (502) 365-3797 or sales@eastwoodstove.net for more information on stoves or service requests.